Sector 46, Noida is one of the most popular residential areas in Noida, due to its excellent connectivity, infrastructural developments, and lower base price of properties than surrounding areas. Spread over 13.5 acres of land, Gardenia Glory is one of the popular Residential Projects in Sector 46 Noida . The complex has a total number of 1665 units, which have combinations of 2 BHK, 3 BHK, and 4 BHK affordable apartments ranging from 950 sq. ft to 2950 sq. ft. The homes are surrounded by lush green landscape area which provides a relaxed environment to home buyers. Each home has been designed aesthetically, with huge balconies and windows to give a sense of open space. The homes have vitrified tiles, wooden flooring and ceramic tiles in all toilets. 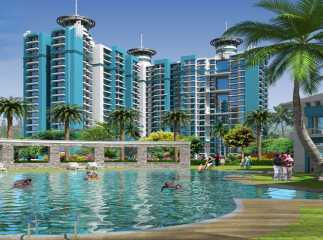 It is one of the prime ready to move projects in Sector 46 Noida . The price of the project starts at just INR 52.25 lakhs.